Help your children to get along with each other. 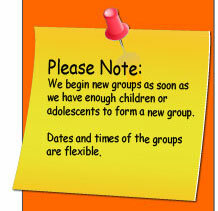 The Social Skills Groups Help your children to get along with each other. How can I help my children to prevent fighting and name calling? First, help your children acknowledge their feelings. Let them know it is all right to be angry towards a sibling, but they should not vent their anger by fighting or name calling. Give them useful alternatives to hurtful arguing, such as talking to you about it. (3-Steps to calming down skill.) Stop, Take a calming breath, and say the problem and how you feel. Or teach them to WALK AWAY to calm down. Most important, show your children how to settle disagreements peacefully and in a calm voice. Try not to act disrespectful, disagreeable, or ill-tempered to your children or other people. They model our behavior! Set ground rules for acceptable behavior. Tell your children that there is no swearing, no name-calling, no yelling, no door slamming and no hitting. Set up consequences in the family when they break a rule. Have them solicit their input on the rules as well as the consequences when they break them. This teaches children that they are responsible for their own actions. Don't let kids make you think that everything always has to be "fair" and "equal". Sometimes one kid needs more than the other. Recognize when kids just need time apart from each other and the family dynamics. Try arranging separate play dates or activities for each child occasionally. And when one child is on a play date, you can spend one-on-one time with another. Be proactive in giving your kids one-on-one attention focusing on their interests and needs. For example, if one likes to go outdoors, take a walk or go to the park. If another child likes to sit and read, then read with that child. Celebrate their differences! Make sure kids have their own space and time to do their own thing ... to play with toys by themselves, to play with friends without a sibling tagging along, or to enjoy activities without having to include their sibling. Show and tell your kids that, for you, love is not something that comes with limits. Unconditional LOVE at all times. Let them know that they are safe, important, and needed, and that their needs will be met. Have fun together as a family. Whether you're watching a movie, or playing a board game, you're establishing a peaceful way for your kids to spend time together and relate to each other. This can help ease tensions between them and also keeps you involved. Since parental attention is something many kids fight over, fun family activities can help reduce conflict. If fights between your school-age children are frequent, hold weekly family meetings in which you repeat the rules about fighting and review past successes in reducing conflicts. Focus on success and notice and tell them you notice when they get along! Consider establishing a program where the kids earn points toward a fun family-oriented activity when they work together to stop battling. Make it fun. Keep in mind that sometimes children fight to get a parent's attention. In that case, consider taking a time-out of your own. Walk away. When you leave, the incentive for fighting is gone. Also, when your own fuse is getting short, consider handing the reins over to the other parent, whose patience may be greater at that moment.